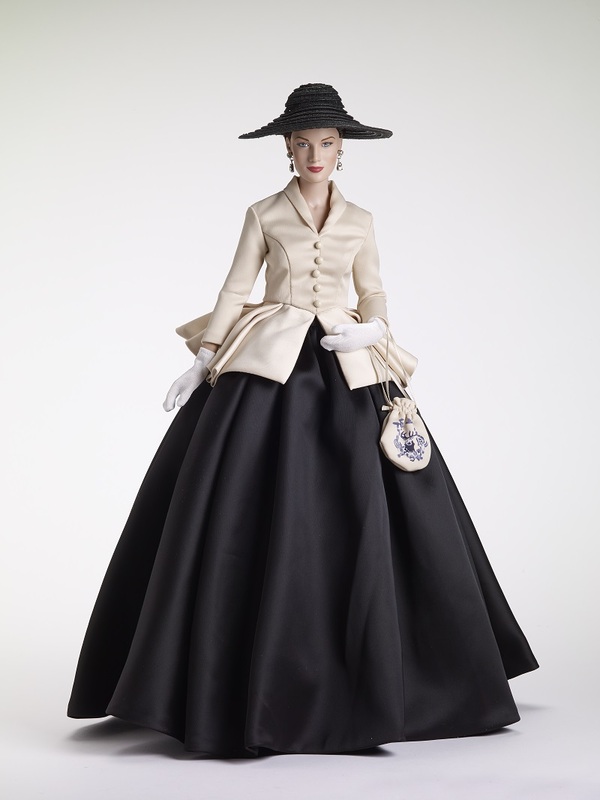 Claire and Christian Dior converge as she re-interprets 18th-century fashion with a version of Dior’s 1940’s “bar suit”. 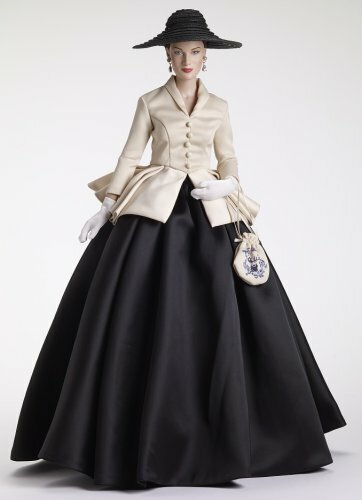 The bespoke off-white satin jacket and floor-length black satin skirt are accented by sparkling faux diamond earrings, white gloves, stockings, family crested bag and bow-front black pumps. The outfit also features a black straw hat which completes the ensemble. Claire’s New Look is on the 16" RTB 101 hard plastic/vinyl body and has a Robert Tonner portrait sculpt of Caitriona Balfe with mink saran hair color and ice blue eyes. Acrylic base stand also included. Limited Edition 300 June/July estimated shipping (subject to change).